Recycled Book Crafts using old books to create new art for giving or keeping! If your bookshelves look anything like ours, they’re full of old books that no one’s even taken down from the shelf in years. Books hold sentiments we can’t let go. And let’s face it, e-readers have taken over. Maybe you’re like us and not willing to get rid of some of those books because of sentimental value or because you can’t find a place willing to reuse them and you’d rather not toss them in the dumpster. We’ve got the perfect solution! Recycled book crafts. What’s that, you ask? It’s a super fun, easy way to personalize your space and give new life to those unopened books. As winter settles in, these recycled book crafts are the perfect project! So take some books down from the shelf, dust them off, and get ready for some serious creativity! Here’s how it works. You can use any size book you want. Just be aware that cutting through thicker ones is more challenging. Look at the cover and see what shapes or letters come through. Perhaps the first letter of your last name or several letters to spell your whole name or the word Dad or Mom. You could make a heart, clover, or other seasonal shapes. Using the cover color for inspiration may spring an idea to mind such as the red apple below. 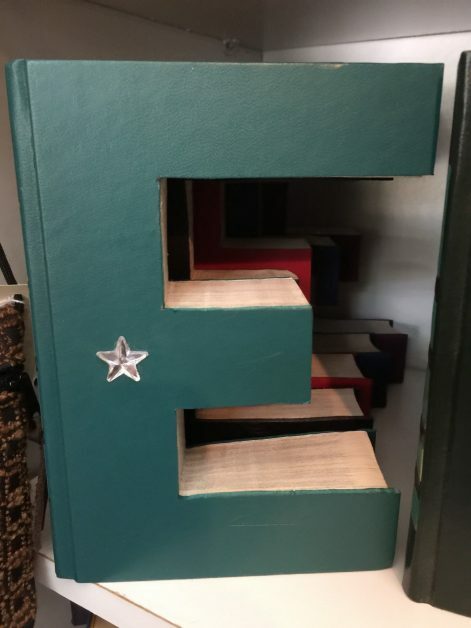 I picked this “E” because of my sister. And I loved how they added a little dainty star to it to mix up the design a bit. Do you know anyone who needs a good luck wish? 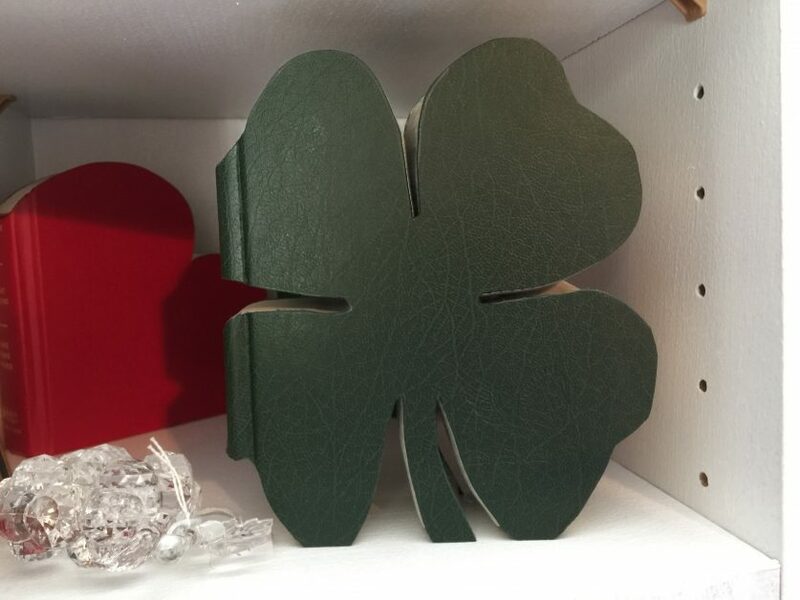 Or someone who loves Saint Patrick’s Day? This would be a great Saint Patrick’s Day gift! 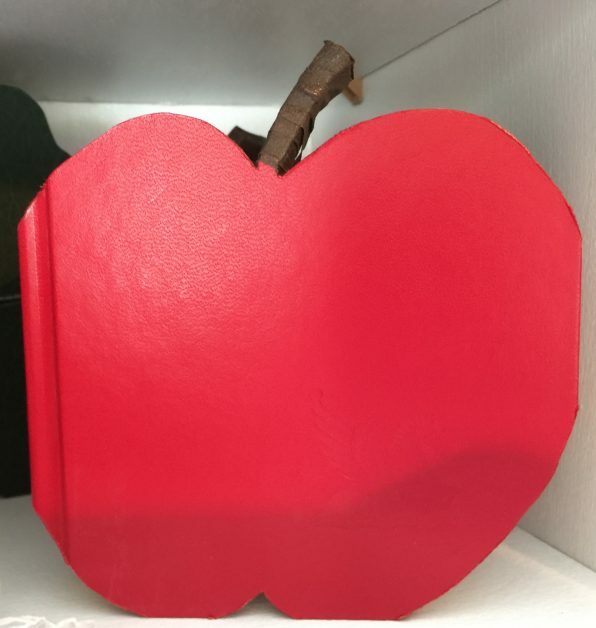 This apple below is perfect for a fall craft idea! Recycled book crafts are something you can do with children, but use caution! Be vigilant in your supervision as this project uses a sharp blade. Your young helper may want to start by choosing the book. Once the shape is decided upon, use a pencil or marker to draw the shape’s outline on the cover. Here’s a great task in making a recycled book craft that young crafters can do! You’ll need a sharp blade to cut through the cover. Continue to follow the drawn line all the way through the pages and back cover. When done, you’ll have a decorative art piece to put back on the shelf where that unused book was sitting. 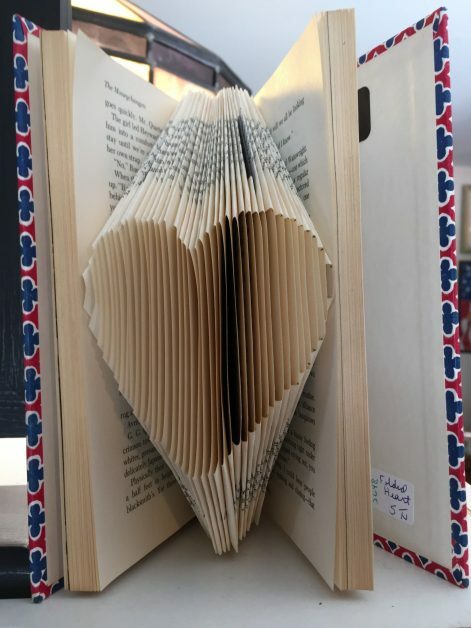 Another option for recycled book crafts involves folding the inner pages to make shapes and displaying the book splayed open. Think of this as the ultimate dog-earring. Only instead of destroying the pages, you’re creating art. The great thing with this is that you can fold and refold the pages until the image you’re trying to create looks how you want. Books are treasures from the time we are little and they become friends as we age. Who doesn’t love the idea of curling up with a book in front of the fire on a cool evening? But once you’ve read them and they are collecting dust, why not try out some repurposing projects. These recycled book craft ideas are some of our favorites. 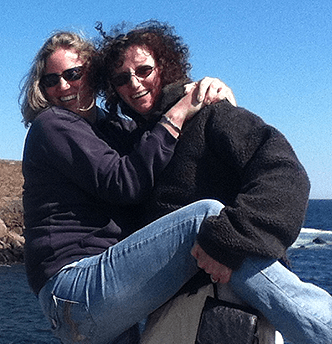 Try them out and share your results!